Crown Heights is the dramatization of Warner’s story, the second film from writer/director Matt Ruskin (Booster), starring Lakeith Stanfield (Short Term 12, Get Out) as Colin. Tracking the story from Colin’s arrest in 1980 to his eventual release in 2001, Ruskin takes a dreamlike, meditative look at the slow-moving gears of criminal justice, and the havoc it wreaks on people as they’re denied their basic human rights – all based on the color of their skin. The ubiquity and vapid nature of social media culture has garnered no shortage of scaremongering attention in recent years, from think pieces decrying millennial love affairs with smartphones to pretty much every episode of Black Mirror. To be fair, there’s plenty to say about our newly expanded ability to share our entire lives with the world – the tendency to curate idealized versions of our lives on social media, the blurring of boundaries between follower and friend, the performative nature of our lives on those platforms, and so on. Director and co-writer Matt Spicer’s feature debut Ingrid Goes West dives into these questions with a seriocomic edge and a fearless central performance from Aubrey Plaza, even if those ideas aren’t always explored with the depth they deserve. August has finally arrived at the cinema, the awkward phase of the year where studios have to release something between the big, brassy summer blockbusters and the contemplative winter Oscar fare. 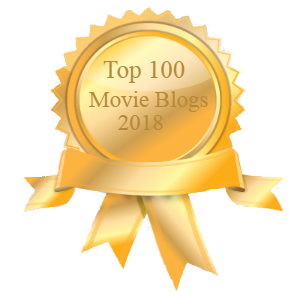 The Hitman’s Bodyguard, with all its feigned personality and complete lack of polish, is the ur-August movie – a sloppy crowd-pleaser with phoned-in performances by two A-listers happy to spend a few weeks in Europe with their stuntmen. It may keep your easy-to-please dad occupied, but for the rest of us, it’s an excruciating two hours at the movies. CLICK ON THE TITLES FOR CLINT’S FULL REVIEWS!